A year in, Art of Tree adds to their inventory with a new collection called the Hologram series. 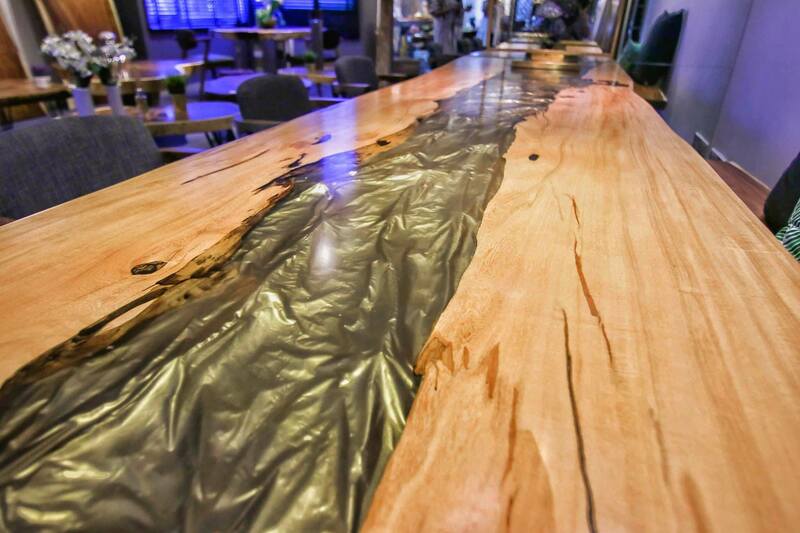 It combines the beauty of epoxy resin and wood to create intricate furniture. 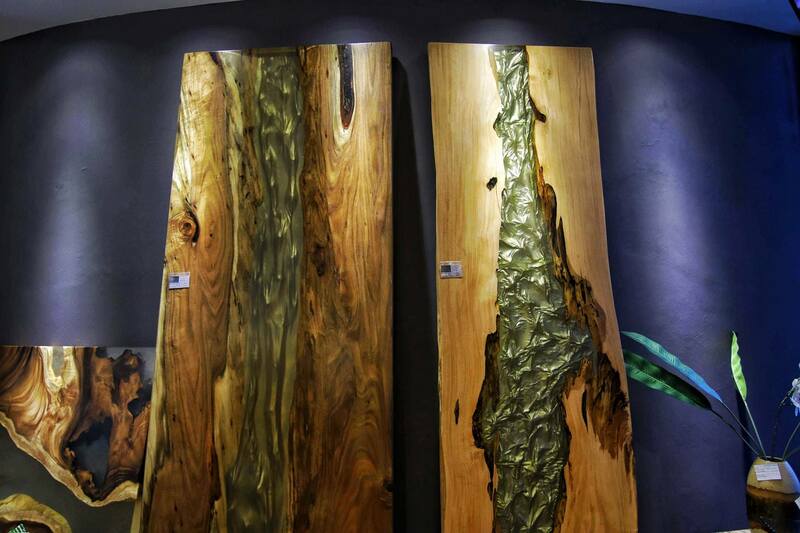 They’ve also moved to a new and bigger showroom spanning 33,000 square feet to display a variety of wood slabs in various sizes. We first introduced Art of Tree as artisans in the furniture space who were also pioneers of fashioning salvaged timber into works of art. That hasn’t changed. 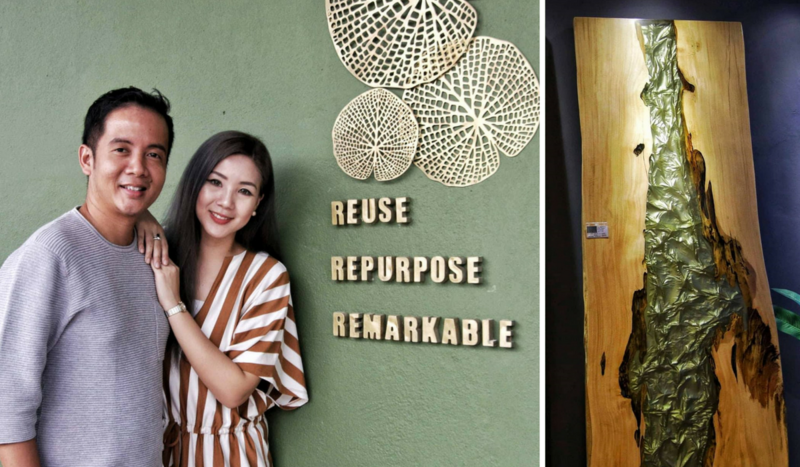 When we caught up with Jeffrey Yang and his partner Joey Woo, they still share the same passion of being able to create treasure from someone else’s “trash”. And with a 7-figure value business in hand, it’s clear that they’ve managed to build a reputation among wood furniture lovers with their wide selection. Now they’re looking to grow their inventory with the introduction of a new collection they’re starting, one that glows a little bit more than their other pieces. The inspiration behind this collection started from the limited resources they had. 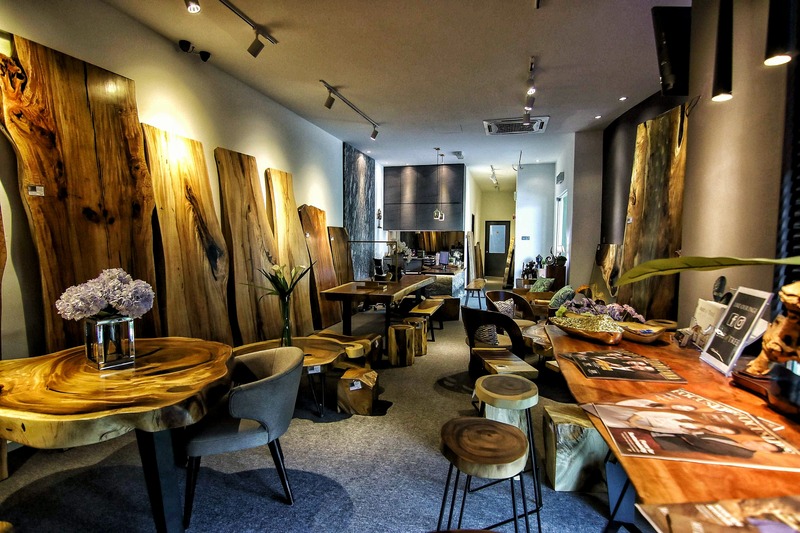 Since Art of Tree creates their pieces using salvaged timbers, they’re not always at a luxury to get a say in the sizes of the tree trunks they receive. Their resources often come in smaller dimensions which won’t suffice for dining tables. 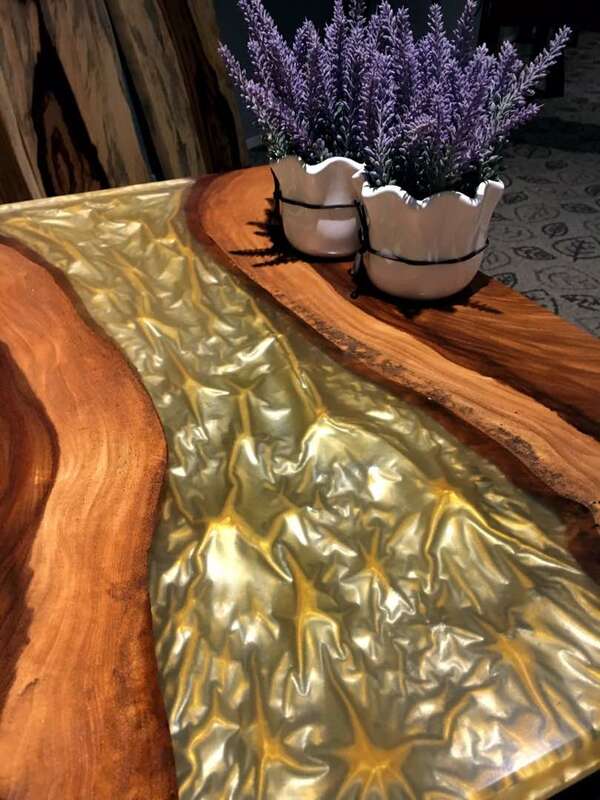 So Jeffrey drew inspiration from an international designer who is known for his “river table” idea. “He introduced the idea of using two smaller pieces of timber and putting them together. But we thought, why not take that design a step further?” said Jeffrey. We couldn’t capture it in photos, but the colours actually change depending on the lighting angles. Instead of using glass as an inlay in the middle, the couple opted to switch it out for epoxy resin. By itself, the material is just translucent, which looked monotonous and wasn’t very eye catching. Dictionary Time: Epoxy resin, often nicknamed “liquid glass”, comes in a variety of colors and textures, and is often used as a coating, adhesive or as a composite material. It is known to be durable and also easy to clean. Art Of Tree then decided to add a tinge of originality by creating a texture that can be seen through the translucent layer. Hence the Hologram collection was born. Whimsical yet sturdy, combining the warmth of wood with the play of light, they look like pieces out of a fantasy world. The idea to use epoxy resin as the main component of their Hologram was unintentional. After playing with the material for over 3 years, they discovered the unique properties it had and were able to improvise on it before combining it with their expertise of making furniture. As I perused around the showroom, looking at the different pieces they had in the Hologram collection, Jeffrey explained that the texture actually differed under a variety of lighting settings. The texture came in handy for their customers who were looking to have the uniqueness of a translucent furniture but not wanting to make it too see-through as it could make their guests uncomfortable. So now they could subtly cover it up while still maintaining a creative design. When the light reflects, it looks like a glowing river parting the wood. According to Jeffrey, the colour of the resin can be tailored although he has only played with gold, silver and black for now. He was adamant in staying away from colours that would look too fancy unless there’s a specific request for it. “We want to focus on creating unique designs rather than building what might be in-trend today but would look old-fashioned a few years from now,” said Jeffrey. I noticed that the pieces looked thinner compared to their other furniture, and the reason behind that is epoxy resin is a stable material that won’t warp or contract even with changes in temperature. “Epoxy resin is also expensive, so we tend to make the slabs thinner. With this, it opens up more possibilities for us to play around with, like maybe cabinet doors, sideboards and more. This is how we’ll expand the Hologram collection,” shared Jeffrey. That’s something Art of Tree prides themselves over. 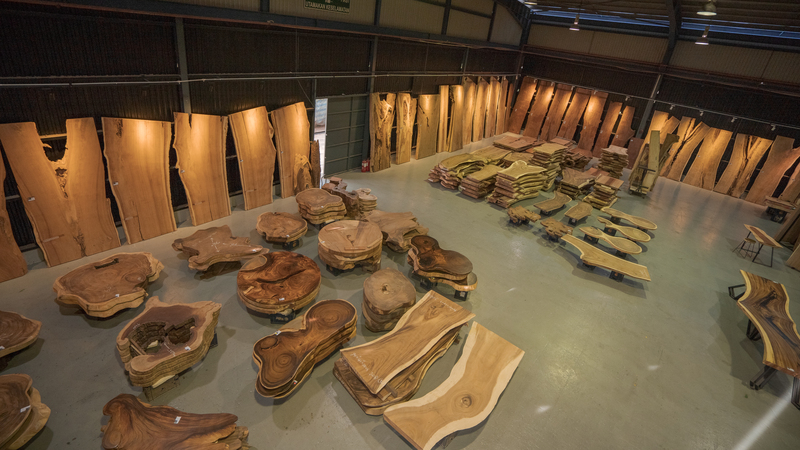 Despite having to utilise smaller trees instead of relying on big slabs, they’re still able to use their skills to mould the timber pieces into intricate artwork. The couple showcased the Hologram collection at a Bangkok property expo in early May, which was attended by interior designers, architects, and developers from all over the world. 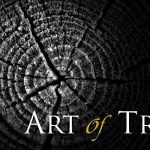 The feedback that Art of Tree received was very positive, with many saying that they hadn’t seen anything like it anywhere else. “We heard from a lot of people that the overall look is nice and they also commented on the impressive finishing. It made us feel proud hearing that our collection managed to blend the materials in seamlessly and nicely,” said Jeffrey. With more attention being drawn to their services, it was only natural for the business to move to a bigger facility. The couple scouted for a while, hoping to find an area that could house their showroom and factory at the same time—their original showroom couldn’t accommodate all their display pieces. And they found it in a great location spanning up to 33,000 square feet. “We used to ferry our clients to our factory when they wanted to see more, which is a hassle. With our new showroom, we have everything under one roof and we can show our full collection,” said Jeffrey. The new area is definitely more spacious and was built in a way where customers could come in and get ideas. So they’re able to see and pick what they like, take it to the factory side and integrate it into what they’re interested in. Along with combining their showroom and the factory, Art of Tree wanted to make the entire shopping experience convenient, so they added extra facilities like a kids playing area as well as a more spacious parking lot. In the upcoming few months, they’re looking to extend the showroom to double its size so they can improve the display area and showcase more of their works. “The vision we have is when people walk in, we want to give them the experience where they can’t give an excuse of not being able to find something here. When it comes to selection and variety, we hope to be able to satisfy that need,” said Jeffrey. When asked about their next goal, the couple shared that they’re looking to submit this Hologram collection for an international level product design award as they have confidence in it.